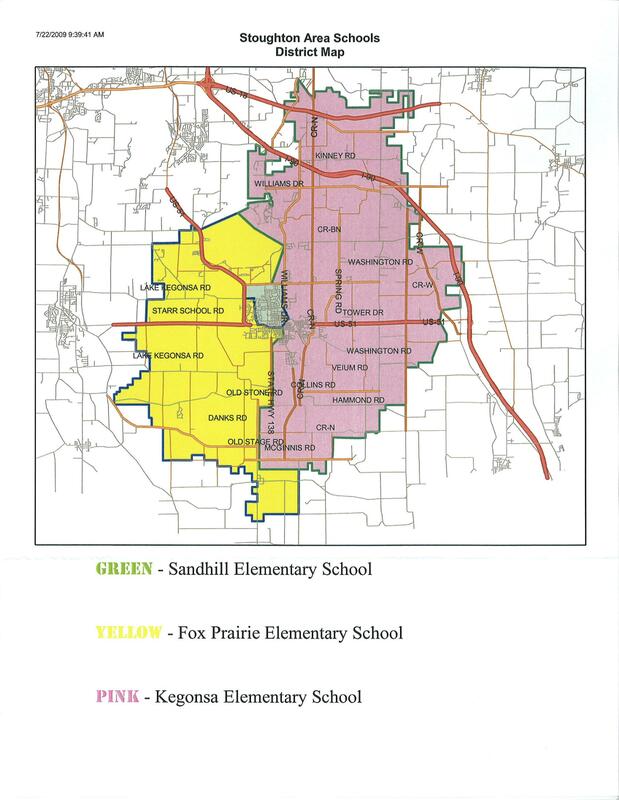 The Stoughton Area School District serves approximately 114 square mile of Dane County and a small part of Rock County. Our district encompasses the City of Stoughton and parts of the towns of Albion, Christiana, Cottage Grove, Deerfield, Dunkirk, Dunn, Pleasant Springs and Rutland in Dane County, as well as parts of the towns of Porter and Union in Rock County. You can see the extent of our district on the map below. If you want to know which elementary school your street falls in, download the Street Index.